Elegance and sophistication refined into a premium writing instrument. 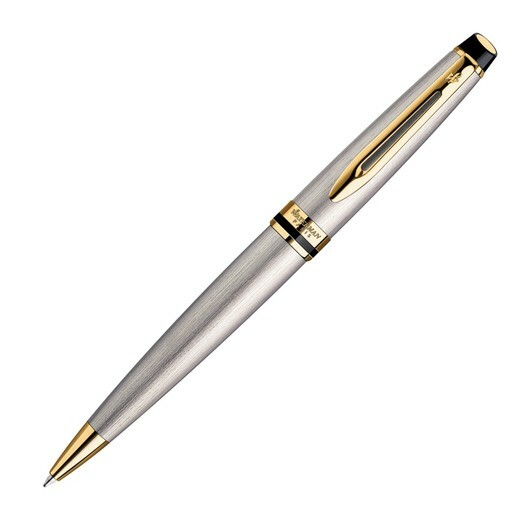 A premium pen designed for appreciation of your staff and clients. With a brushed stainless steel body and elegant gold trim they bring exceptional class and quality. 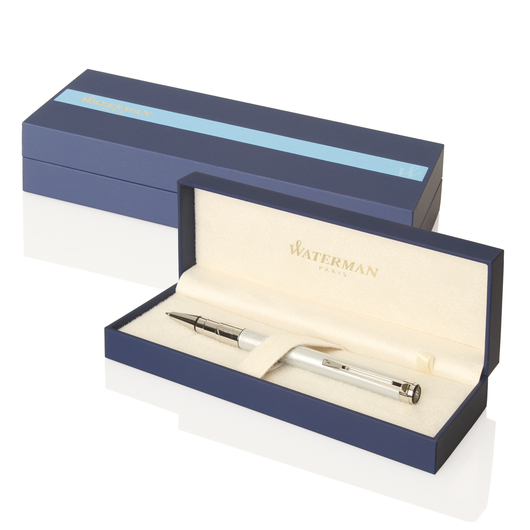 Available with a variety of high quality decoration options and presented in a traditional Waterman gift box makes these a timeless gift. The pens are engineered with a twist action retractable blue ballpoint for superior writing quality.